We’ve heard a lot of marketing companies suggest hybrid responsive website design (HRWD) lately. After all, going mobile friendly is now a must, so many business owners are figuring out the best way to go mobile. 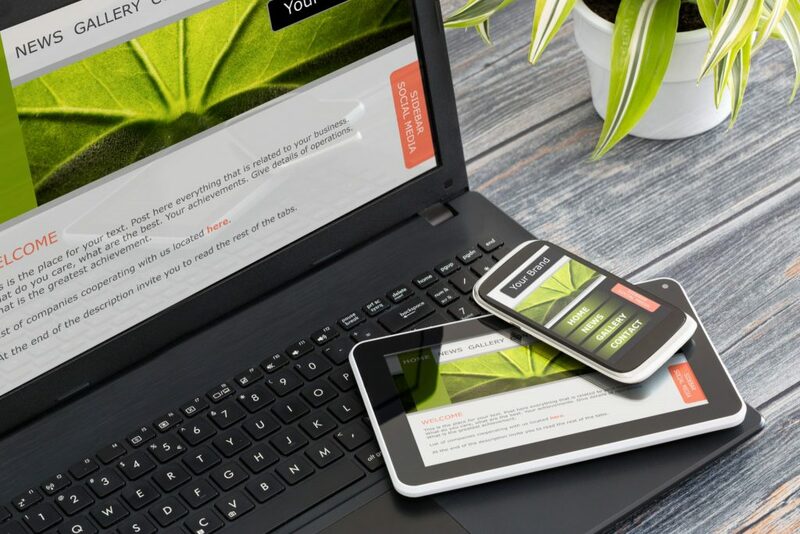 A hybrid design takes the best of both responsive website design (RWD) and adaptive website design (AWD) components, resulting in a user-specific experience tailored to exact devices resulting in specific goal-oriented outcomes. Sounds great, right? It is. But while HRWD might be the "optimum tech solution," the complexity, costs, and maintenance time required make it less than ideal for most everyday businesses. If your marketing company suggests this option, be sure they’re strategic about the build process and the configuration of ALL your website design components—and not just looking to stick you with a huge bill. Note: Google recommends responsive website design (RWD), and so do we. Hybrid responsive website design is created with a dual approach: it marries responsive web design’s ability to flexibly adjust to the user’s device with server-side adaptive web design techniques to adjust how the content is displayed, based on user needs. Each user experience is tailored to a specific user outcome, so your website will automatically deliver content and layout tailored to each user. Like responsive design, responsive hybrid design uses a single URL for every device. This is important to your search engine ranking and your site’s accessibility to mobile users. You won’t be penalized for duplicate content or pages, and your users will have a much better experience with your site from any device. Your customers will have no trouble finding what they are looking for, even when they switch from a smartphone to a desktop, and they’ll be able to recommend something on your site to friends, who will be able to then easily find the same page or button. Building a hybrid responsive code is time-consuming and requires uniquely skilled website developers, which means development comes with a hefty price tag. Responsive web design (RWD) is configured mostly on the front-end (i.e. CSS), while mobile-specific, adaptive and hybrid responsive design options require server-side configurations. This means a lot of set up and a lot of maintenance over time. Hybrid responsive design requires a complex device detection process to decide what version of your webpage is delivered to each device. Because tons of new devices with different screens sizes are introduced each year, it’s essential to update your detection algorithm regularly. Again, more maintenance to worry about. Hybrid responsive website design (HRWD) is a major undertaking—the most complicated of mobile-friendly website options. You’ll need a trusted web developer very well-versed in the complexities of hybrid coding, plus the time and money to make it happen. In many cases, it’s overkill for a small- or medium-sized business. The real question is: Is it worth the extra time, cost, and maintenance hassle? The trend today—and moving forward—is all about user experience, and ensuring ALL parts of your website are visible, accessible, and fast. Your best bet is to ensure every screen experience is the best you can deliver…within your budget. Not sure if your site is mobile friendly? Use the free and easy Google Mobile-Friendly Test tool to find out. Now's the time to go mobile, but how? Check out this handy and comprehensive FREE guide to making your website mobile friendly.